Starting any business requires that you have everything you need to make it a success. That is no different when starting your own website to earn money online. There are must have online business tools you need to give yourself the best chance at creating your dream home based business! I’m going to show you the ones I use to earn money at home online so you can check them out for yourself! The best website platform for your money is, hands down, WordPress. Over one third of all websites on the internet are powered by WordPress, and for good reason. 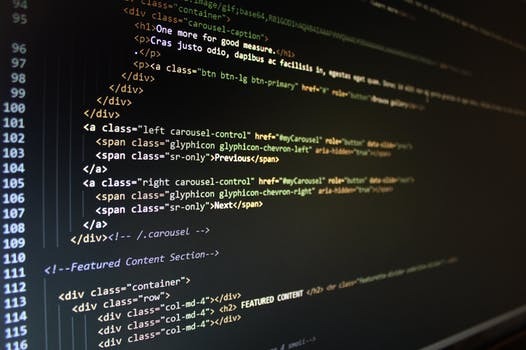 You can set up a website in minutes, the interface is user friendly, and there are over 55,000 plugins you can choose from to enhance your visitor’s experience and to secure your site. No matter what niche you choose or what online business you decide to start, a WordPress website is the best foundation you can find. To find the best hosting platform for your WordPress website, you can read Who Has The Best Website Hosting Services For Your Online Business? 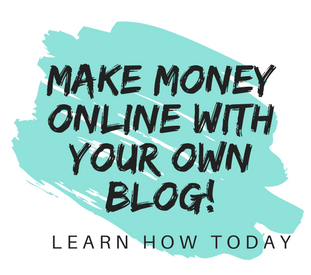 Let’s face it, there is a lot of information online that you can research to teach you how to start a website, find the best business to start, how to write content, and monetize and drive traffic to your site. In fact, there’s so much information out there, and hundreds of sites trying to sell you on their system that it’s hard to separate it all out! Step by step lessons and webinars that were clear, up to date, and easy to follow. No gimmicks! I had fallen for a get-rich-quick type of program in the past and learned from that expensive lesson. I wanted to learn–not copy somebody’s system just to promote their product for them and make very little money. A mentorship platform where I could ask questions and get current, real-world answers from those who were making legitimate money online. A chance to see what the program had to offer and experience the quality of the training without being a paid member. The program I found was Wealthy Affiliate. Not only did it check all my boxes for a training platform, but they also provide WordPress website hosting for up to 2 websites for free with without even putting down a credit card indefinitely. You can check out more details in my Wealthy Affiliate review here. It doesn’t matter whether you’re affiliate marketing with a blog or selling products online, one of the best way to drive traffic to your site is with content marketing. This is the process of creating articles that discuss topics related to your business and posting them to a blog on your site. As people browse the internet by inserting phrases, called keywords, into search engines like Google, Bing, and Yahoo, they’ll be able to find your site through your blog posts. You can’t underestimate the value of this traffic. They’re interested in your niche and are seeing your site as an authority–both of which leads to conversion and sales! But how do you know what to write about and what people are searching for in your niche? Your next must have is a Multi-Functional Keyword Tool! My favorite keyword tool by far is Jaaxy. In addition to all the information you need about keyword research, it has other extremely useful features such as SiteRank, Keyword Lists, Search Analysis, Affiliate Program Research, and more. You can check out more details in my review of Jaaxy here. Once you have your site up and running, you’re going to need an Analytics program. How many visitors are you getting each day? How is your traffic trending? What time of day are they visiting? What pages are they visiting? How long are your visiting staying on your site? What devices are they using to access your site–desktop, mobile phone, or tablet? Where are your visitors being referred from? The answers to all of these questions, plus more, will help you determine which pages are attracting visitors and which ones are converting well or poorly, etc. 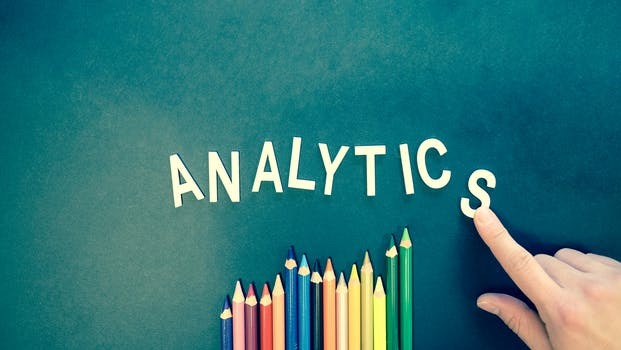 The analytics program you want is Google Analytics, which is free and easily added to your website with a code. You can get started with Google Analytics here. In addition to analyzing your traffic, Google has their Search Console, which is another must have for your site. Search Console provides you with all the details about the indexing of your site and crawl statistics. Each time Google crawls your website, it notifies you of any errors found and newly indexed posts and pages. Unresolved errors can result in decreased ranking in the search engines, so Google Search Console is a resource you don’t want to be without! You can check out Google Search Console here. At one time I would’ve said that Social Media was an option for an online business, but it is now a must have tool. Using social media has become one of the most effective ways to drive traffic to your website, and remember–the more traffic, the more profits! A great training program will teach you how to post your articles to your social media accounts and ways to interact with your target audience. You don’t need to master every platform out there, even one or two will bring you good results. 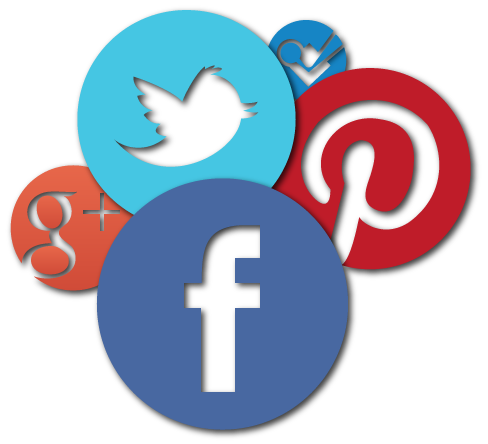 To add Social Media icons to your website, one of my favorite WordPress Plugins is Ultimate Social Media Plus. It was easy to use, even for a newbie like me, and the free version has everything you need! One of the best ways to get your website out there is with visuals. Being able to produce my own images for social media and for featured pictures in my blog posts is critical to my success. So I use Canva to produce all of my images, and the best part is, it’s free! They have templates for all of my social media posts and custom sizes for any others. You can upload your own images, add text, background colors, and then download it to your computer. If you want to create your own unique images, I highly recommend you check out Canva! If your online business is going to include selling products, you will need an inventory. If you will be needing wholesale suppliers for your products, you’ll need to be sure and find ones that are reputable and reliable. Another must have then is a wholesale supplier directory! My recommendation is SaleHoo, which offers a wholesale supplier directory with over 8,000 verified and legitimate global suppliers that you can order products from. If you don’t want to keep your own inventory and don’t want to deal with shipping to your customers, dropshipping is a great choice. SaleHoo also has many great dropshippers for you to choose from, and you can open your own storefront from their platform. You can check out dropshipping and read my SaleHoo review to see if they’re right for you! No matter what job or project you set out to do, you need the right tools. The must have online business tools I’ve detailed above will help you stop struggling and start being successful with your home based business! What tools are must have for your business? Let us know in the comments below! Your website is very informative. I’m looking to start an online business soon and will be looking at the programs you recommend. I have to admit I have never heard of SaleHoo before, but I like the idea of selling products and will be looking into it. Building an early retirement is something I’ve thought about quite a bit, especially for those of us who are pretty close to that age. I like the questions you’re asking yourself in your “About Janelle” page. I’ve asked myself several of those same questions and from what I’m reading on your site, you answer nearly all of them. Good luck with your online business! It will take some time and commitment, but with the right tools and programs, you can definitely get there. Retiring early was my motivation when I started my business, and I loved the fact that I can take it into retirement with me for extra income. I’m glad you found the information helpful, and thanks for stopping by! i want to tell you a few words i hope it might help you in your online business, its good for a star to earn money and to enjoy your life But you have to work a lot in your website pages.the right way is join wealthy affiliate community to know better and to make more Amazing websites. I agree, you definitely have to work a lot, and Wealthy Affiliate is the best resource I know to make amazing websites! Thanks for listing some of the must have tools for online businesses. I was familiar with most of them, but the one of a legitimate wholesale supplier was rather new to me. I did not know SaleHoo and am certainly going to take a look at it. What is your position on the necessity of having an auto-responder. I am still not so sure if I would need one and if so, at what point of time? I think an autoresponder is a great way to get visitors back to your site and increase repeat traffic. However, it’s not necessary to start right away. When you site starts ranking better and you see traffic trending up, I think that’s a good time to start an email marketing campaign with an autoresponder. For this MMO website, I just starting using GetResponse and really like it. It’s just $15 a month for the first 1000 subscribers. What a useful list of tools you have here for any webmaster to refer to. I agree that you definitely need all of these tools if you want to have a successful online business. The one tool that I haven’t used to its full potential is Canva. I guess I am just lazy to learn how to use it properly, and am always so busy with other things. However I am sure I won’t be sorry if I try it out more, as many people seem to be very happy with it and make amazing creations. Canva took me a bit to get used it, but now I love it. Once you get a few images under your belt, you’ll be surprised at what you can create! Hello, what an interesting article, thank you for separating everything in a table of contents. Glad to know that you find these tools helpful too–good luck with your online business! Every detailed list and reviews of crucial tools needed for any online business. I’m recently looking for some cloud based graphic software and thanks for recommending Canva. I will give it a try. What would you recommend in terms of plugins? Are they any essential plugins that are must have for online business? I listed the ones that I use in my post The Best WordPress Plugins For A Blog, hopefully you’ll find it helpful for your online business! Thank you for an informative post. I enjoyed reading it. I completely agree with you that to stand a better chance of running a successful business online, as an entrepreneur I must have the key tools you have mentioned including the image creator. Also, you have explained drop shipping in a very clear way. Now I understand how it works and I am now in a better position to decide what I need to do next. I have bookmarked your post. Great! Dropshipping is a great way to start an eCommerce business with very low start up costs. I’d love to get an update to see what you’ve decided on and how it’s going! The tools you provide are very good indeed. I use analytic and social media tools for along while, and without them your online business will never grow or never be big. It is a must, and the best part is that it is free, how good can it get? 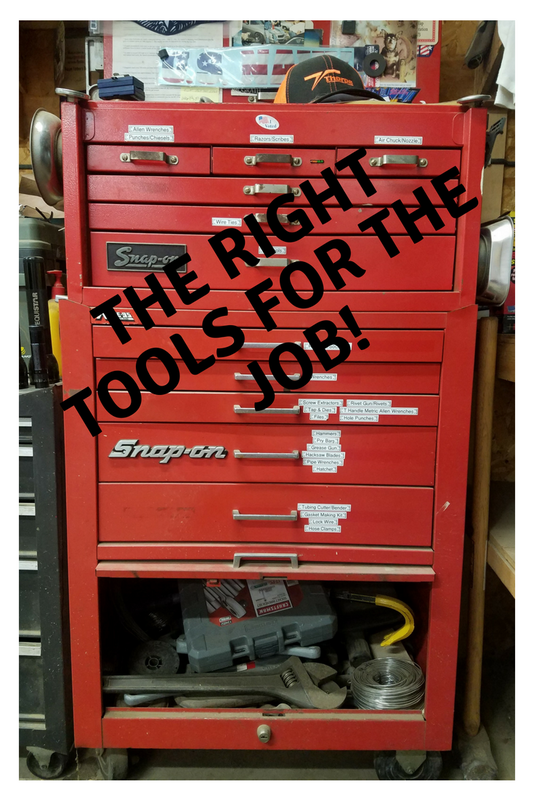 You’re exactly right about the best part being free tools. No sense in paying for something when there is a quality version that costs zero! 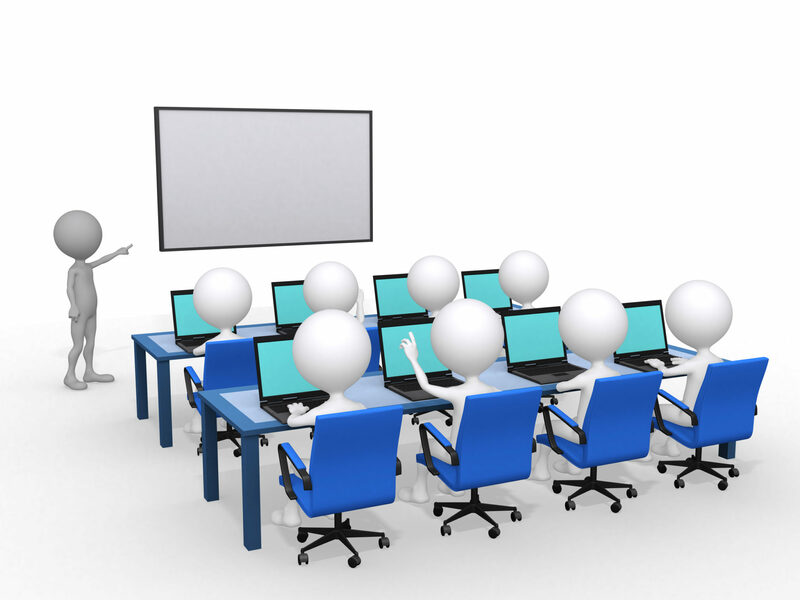 Thank you for sharing your knowledge about the online business must have tools because this was very informative. I am currently using Alibaba and Aliexpress but I will check out Salehoo. It will good to know all the available resources out there so that you can compare and pick which one works best. I also just use whatever tools are already available on the social media platform but I think having to edit your own layout and create a unique post using Canva is genius! I will surely try that! Thank you! I absolutely love Canva! It really allows you to create images and banners that are unique and fit in with your website perfectly. Good luck! Onlime business do sound like an awesome idea for me because I’m in university now and I can definitely do online business at the moment. Also it is one of the biggest growing business rn.. from this article I love Jaaxy it looks like an awesome tool that any one who is starting an online business should use it. You’re welcome! I’m glad you found it helpful and good luck! What a bunch of information you pack in a reasonably short posting. I went through it with much interest because early retirement was one of my life long dreams (until I eventually retired at the insistence of my last employer!). As you may gather, I did not retire early because I just did not know what to do for income, or how to get started with a business to support retirement. Had I seen your article a few years back, I’d probably be an expert by now! Thanks for taking the time to arrange this information in such a logical way. I’m so glad you found it helpful, and it’s never too late to start an online business so you have more money to enjoy in retirement! I’m at the social media stage but I find it so much of a hassle to build things up that I’ve built up multiple times across multiple platforms, purely to try and advertise a business. Don’t misunderstand, it’s not that I think it won’t be of much use, but I’m considering personal experience here. I keep myself anonymous on most social media. And even on my most open ones I don’t disclose much. That’s how I prefer it. And in that anonymity, I’ve built up a base…in meme sharing and comedy. To switch that over entirely to business on another front, that I have so little knowledge or experience with since I’ve only grown my page naturally with comedy, is really hard. There are many people, including me, who don’t use every form of social media, and it’s not necessary to. Find the ones that work best for your niche and that you enjoy using and build up your presence on those. It sounds like you’re doing great, and I wish you success in 2019! Your website is very informative, and I love how thorough your content is. I enjoyed clicking through each and every page knowing that there is legit content on everyone, so kudos to you! 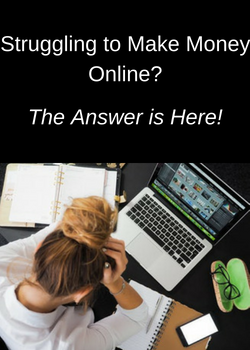 I look forward to my free guide on how to make money online! THANK YOU! and keep up the good work! So glad you found my site helpful! I add new content all the time, so stop back again! You are so right saying that you don’t need to master every tool out there. I am guilty of thinking I had to master a tool before I used the tool as well, alas, the mastery comes from ACTUALLY using the tool regularly. 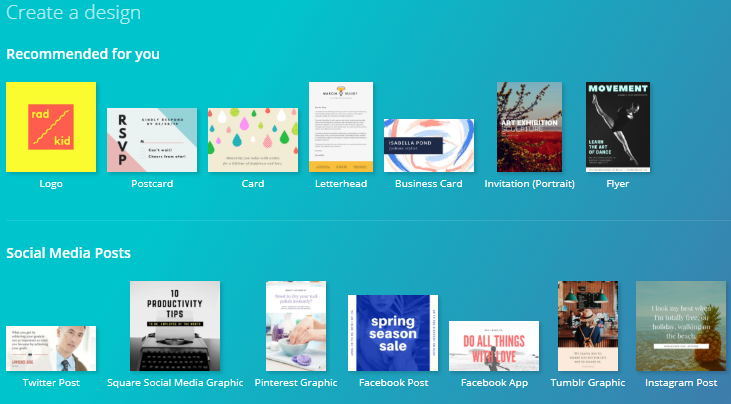 Even Canva had me nervous at first. So, I created a light-hearted meme that wasn’t even for my websites. It broke the ice and gave me an accomplished feeling. Another aspect of afilliate marketing that has always been daunting to me is Social Media. I had to bite the bullet, so to speak and get my feet wet. Part of my target audience uses flickr so, because of that fact I had to go for it! Getting out of our comfort zones is the best way to achieve our goals. I am going to target YouTube videos this year as my goal–definitely out of my comfort zone! Good luck to you! Is Affiliate Marketing Hard? Can I Really Do It?